Dr. Rodney Green offers state-of-the-art hair replacement surgery. If you have experienced hair loss, are interested in hair growth, or if you have delayed hair transplantation until now because of the poor results you have seen, now is the time to reconsider. The state-of-the-art in hair replacement is that of the follicular unit (small groups of two or three hairs) or single hair grafts which give a very natural replacement of missing hair. No longer is it necessary to have the unnatural “plug” appearance with small tufts of hair that make the hair graft unnatural and obvious to everyone. The procedure can be done under local anesthesia with minimal sedation in an office setting. This keeps costs lower than if the procedure were done in an operating room. Our fees are competitive. We will usually be able to beat your quote from someone else! The hair is harvested as a strip of skin with the hair follicles in it, from an area of abundance such as on the back of the head. The donor site is closed without tension. The harvested hair is then cut into microscopic grafts, consisting of the follicular units or single hairs as necessary. These grafts are then implanted into tiny slits in the recipient site. With careful planning, replacement of the missing hair in critical areas can restore the youthful appearance of your face framed with hair on top and on the sides. It is not always possible to completely restore hair to all areas, but this is not usually necessary in order to achieve the youthful appearance that you are seeking. 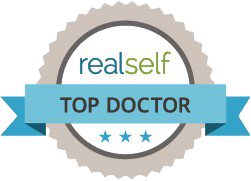 Many experience a boost in self-confidence after the procedure. Obviously this type of procedure is very tedious and time-consuming. Dr. Green has assembled a team of expert assistants to help to prepare the microscopic grafts and place them carefully in the small slits, to make this a practical, and cost effective option.